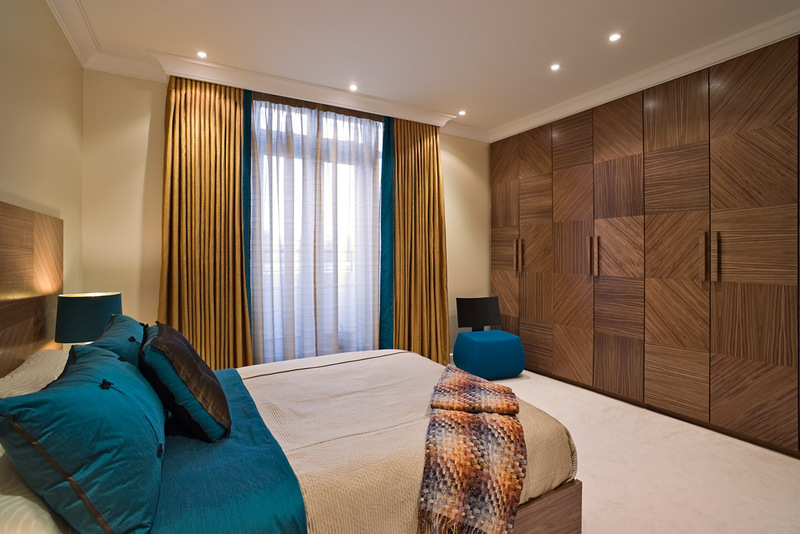 For this project we worked particularly closely in conjunction with the interior designer to fulfil the client’s brief of a colourful yet sophisticated interior. 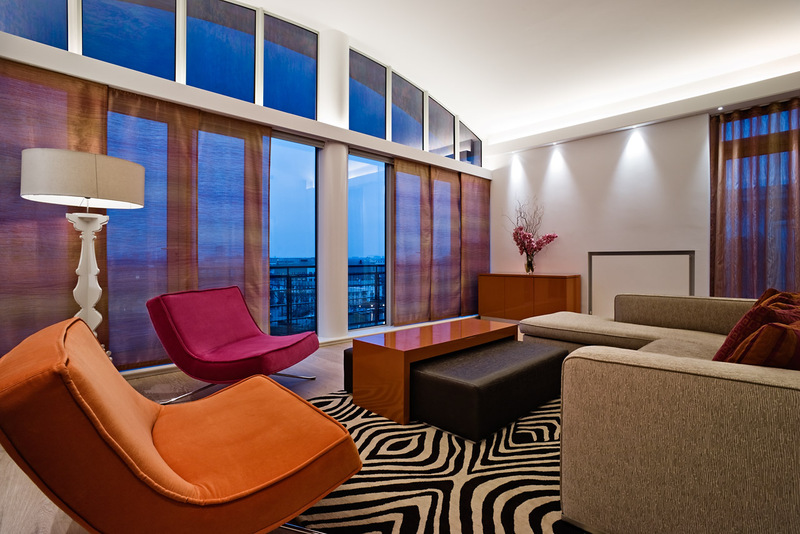 The window treatments were designed to enhance the aesthetics of the space without detracting from the eclectic finishes and furnishings. 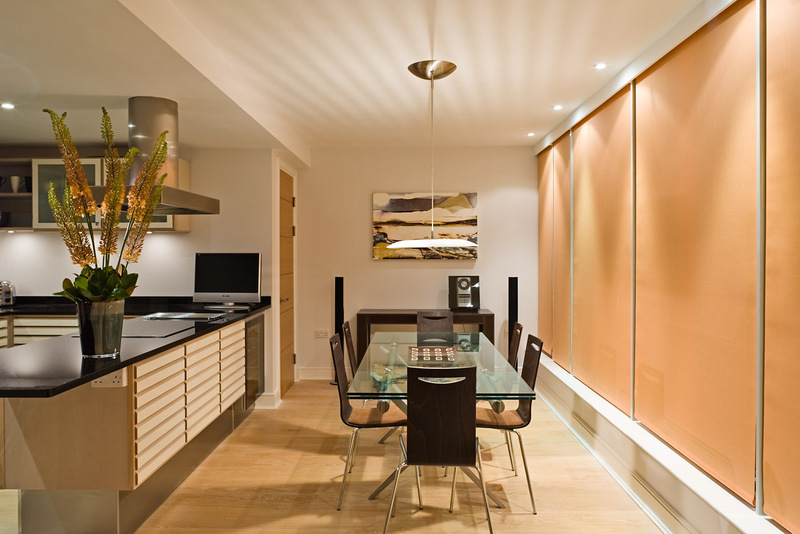 Dual curtain treatments provided a sumptuous finish to the Bedrooms and Snug whilst the Silent Gliss Panel Glides and Roller blinds gave a sleeker finish to the Kitchen and Living areas.